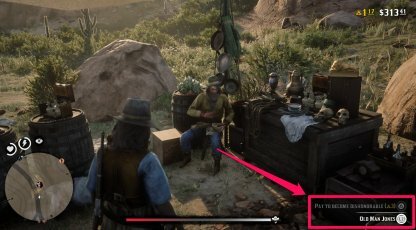 Read this Red Dead Online guide about the game's honor system, what it affects, how to reset your honor, and more! The level of your honor determines the type of missions you'll be undertaking. Honorable characters can work on good jobs such as deliveries & recoveries, while dishonorable characters will be given missions such as paid killings & thievery. Check Out A Land Of Opportunities Missions List! Though you won't get shop discounts at a higher honor state, having lower honor will make NPCs wary of you, causing them to raise their item prices. Check Out Best Ways To Earn Money (Online)! 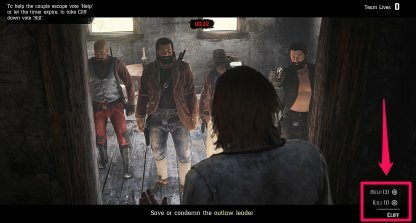 In the "A Land Of Opportunities" storyline missions, you are faced with several moral decisions. You can highly influence your honor state depending on what decision you make. You can influence your honor by choosing the types of Free Roam missions you take. Going to "good" mission givers like Alden, Hamish, and Bonnie will give you positive honor, while those from Joe, Langton, etc. will lower your honor. 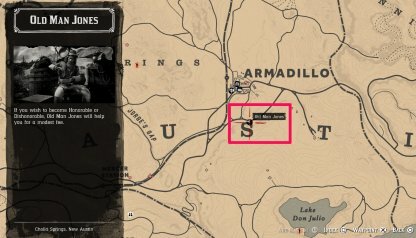 In your travels in Red Dead Online, you'll come across bandit hideouts. Clear them out and deal with the leader - your decision here will influence your honor levels. Killing the leader will lower it while sparing them will raise it. Random actions you make around towns such as stealing horses, committing murder, and etc. will negatively affect your honor state. Your Honor can be refreshed by visiting Old Man Jones. He can be spotted on your map with the half white, half red cowboy icon. It costs a big amount of resources to reset your honor state. You need to be sure that this decision is worth is as it is very expensive. 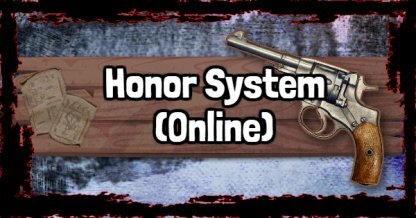 The Honor System is also present in Red Dead Online. It judges your characters in-game decisions and decides whether they are good or bad. 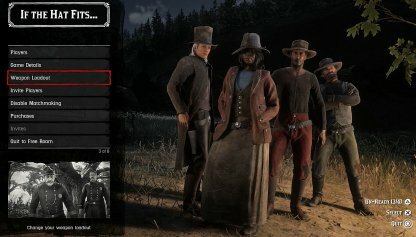 Your honor state influences Red Dead Online's storyline missions, the way NPCs interact with you, and the type of missions they'll give to you.